"The best qualities for a trader to have are his determination, confidence, and patience. Felix has these in massive abundance!! 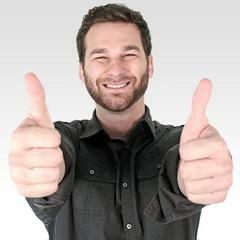 Let his experience and hard-work guide you to the profits you are looking for!" "Felix is the real deal. 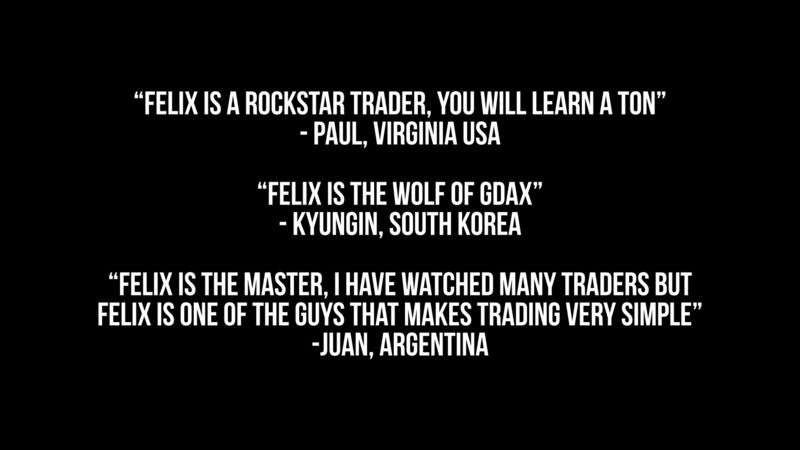 Unlike many people who just teach stuff they did years ago, Felix actually makes a living trading and actively does everything that he teaches. I don't know of anyone who works harder or cares more about their students than Felix. So if you want to learn how to trade, using the strategies that are working right now, then you need to check out this course." 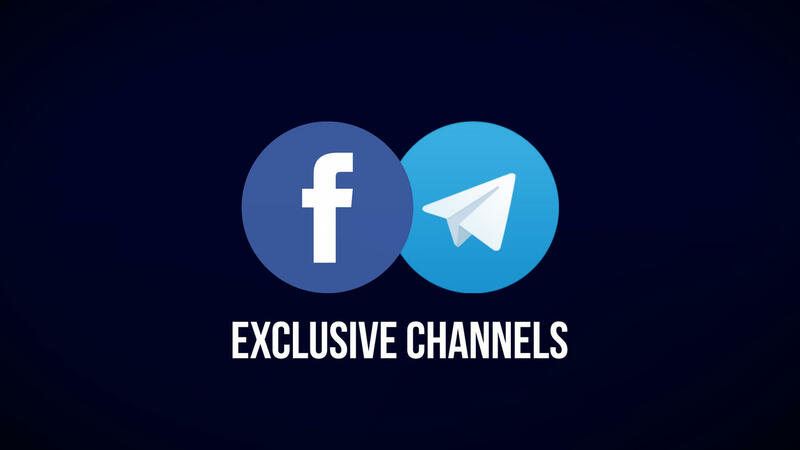 You will receive access to multiple hours of exclusive video content teaching you everything you need to know to go from Crypto Newbie to Pro and be able to consistently profit. 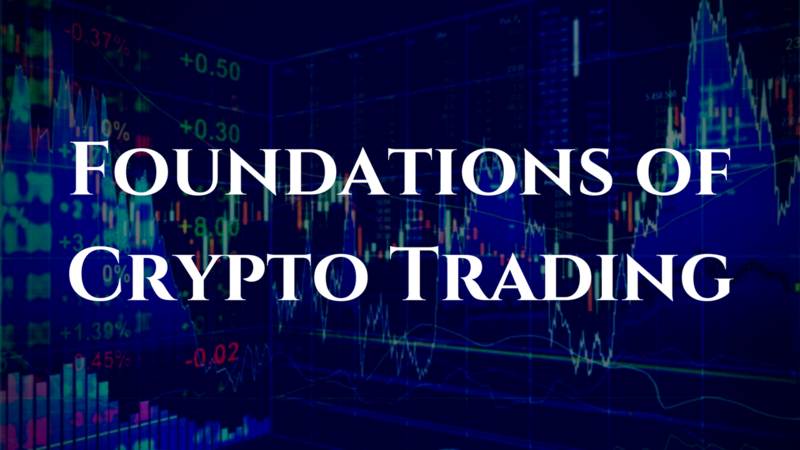 From Market Mechanics, over Fundamental Coin Analysis, and Technical Analysis, Foundations teaches everything you need to know to start profiting. 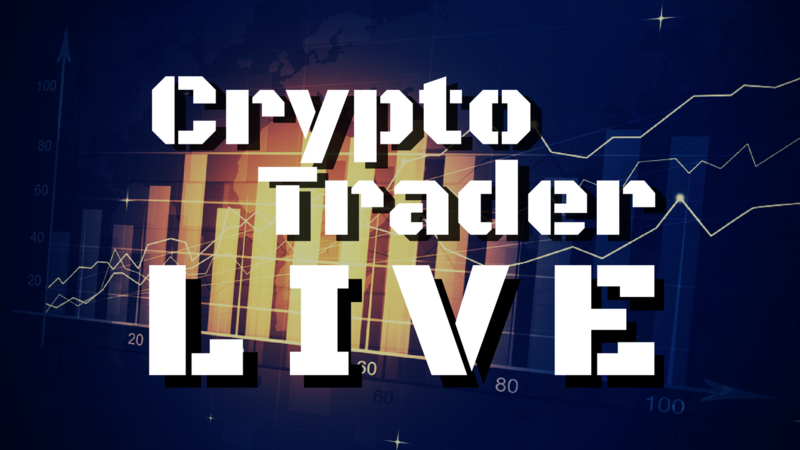 As an Active Member you have access to our crypto trading room, which meets every week live to review the market and analyze any coins requested by its members. Profit faster by finding the best set-ups and save yourself from falling for bad trades by having more accountability. Find out when instructors and community members place trades via the community facebook and telegram channels. Post your trading ideas and get a second pair of eyes to provide you feedback. Perfect for those trading accounts larger than $25,000. With Crypto Market volatility, proper accountability and guidance can make significant % differences in your returns, making the Elite Program a lucrative investment. *Only so long as the service is being offered. Felix started trading back in 2012 at mere 17 years old. Since then he has been a profitable stock, options, and now cryptocurrency trader, specialized in micro-swing and day-trading. 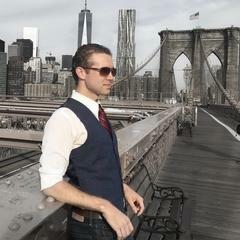 He's spoken at the Digital Stock Summit, Crypto Virtual Summit, and coached thousands of others in mastering the craft of trading. As of 2018, Felix is the founder and Manager of Hartmann Capital, launching his inaugural Digital Assets Fund. 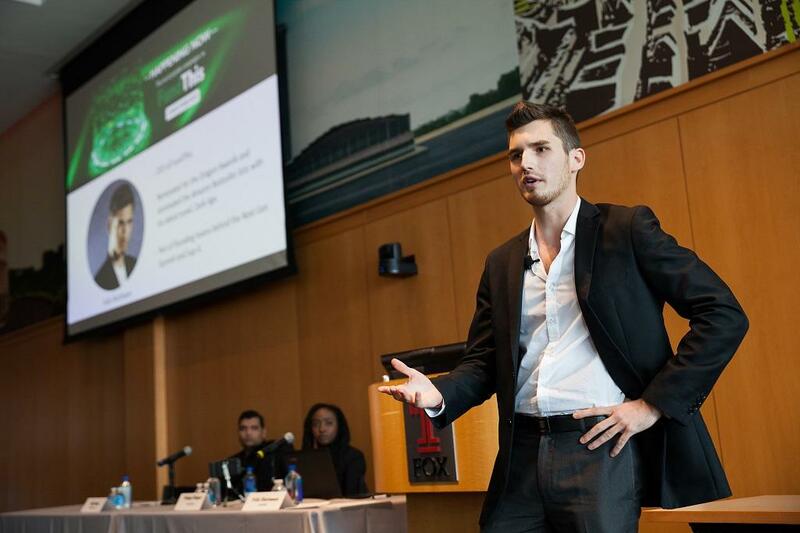 A blockchain enthusiast, Felix was part of the inaugural Ethereum based Consensys Blockchain Developer Academy sponsored by the Dubai Futures Foundation. Are We in a Bitcoin Bubble?